This lesson will show you how to install a plugin. Plugins are installed in the plugins folder of your LiveCode User Extensions folder. In the Files & Memory preferences pane you can find the full path to the User Extensions folder. Open this folder in your system file browser. In your Documents folder is a folder called "My LiveCode". 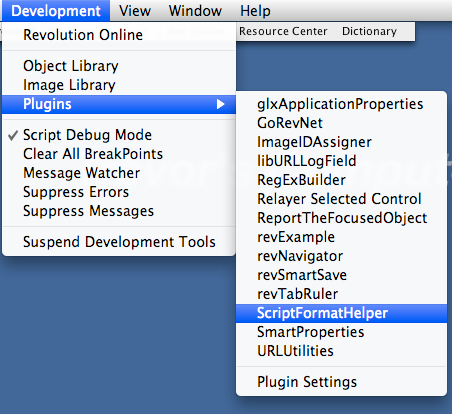 In this, locate (or you need to create) a plugins folder (2). Place the plugin stack in this folder (3) and then launch LiveCode. Once you launch LiveCode you can access your plugin from the Development menu. 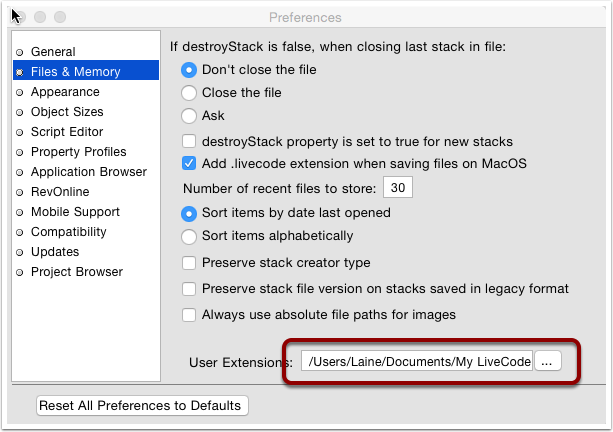 It might be worth pointing out that one can change that default location of the My LiveCode folder. It may be obvious, but perhaps not to everyone?